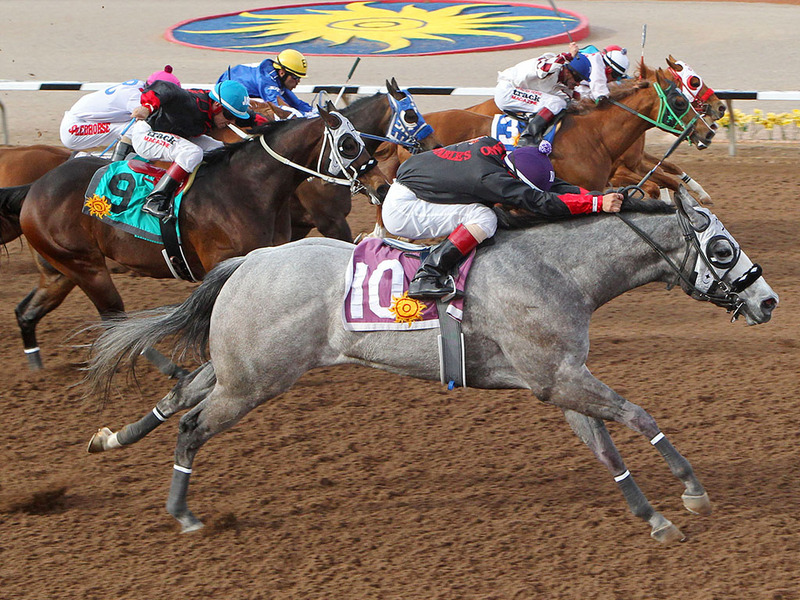 Wagon On Fire V scored an upset win in the 55th running of the $187,950 West Texas Derby (Gr. 3) at Sunland Park Racetrack and Casino. 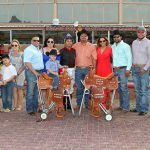 The victory provided both winning rider Raul Herrera and trainer Ricardo Armendariz a sweep of the two Quarter Horse stakes on Sunday having already won the $85,000 Sunburst Stakes. Let go at over 6-1 odds, Wagon On Fire V unleashed a wicked late surge from his outside draw to win by a neck in final strides of the 350 yard dash. The three-year-old son of Pyc Paint Your Wagon and the stakes winning dam Sixes Royal ran the race of his life, collecting his second career win in the Grade 3 derby. Wagon on Fire V and jockey Raul Herrera won a furious finish by a neck. The winner trained Ricardo Armendariz paid $15.60 to win. 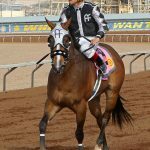 Wagon On Fire V earned $88,337 for Valeriano Racing Stables led by Sammy Valeriano of Odessa, Texas. 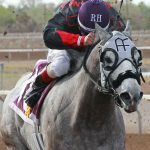 The gray gelding was timed 19.401 seconds, good for a 93 speed index. Dominate This ran a courageous race to narrowly edge out He Be Flashy for second place. 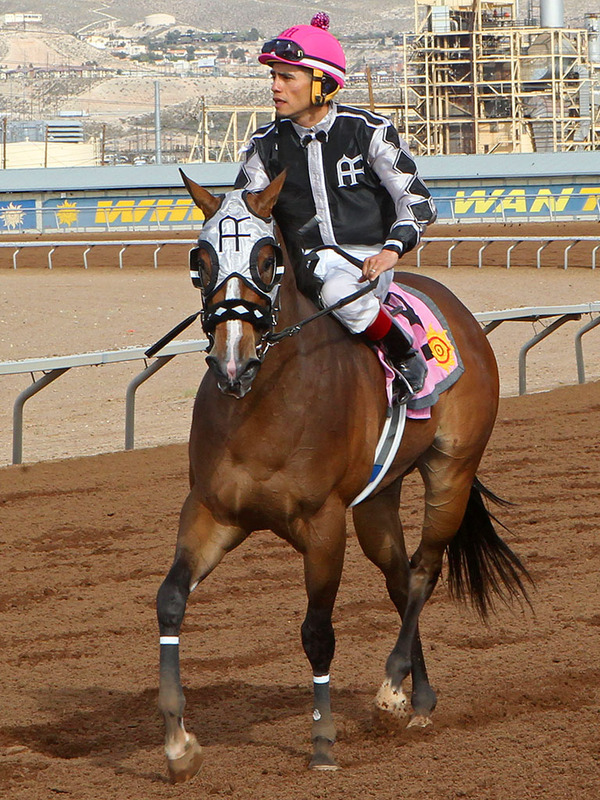 The runner-up from Arizona finished strongly for jockey Emilio Tapia. 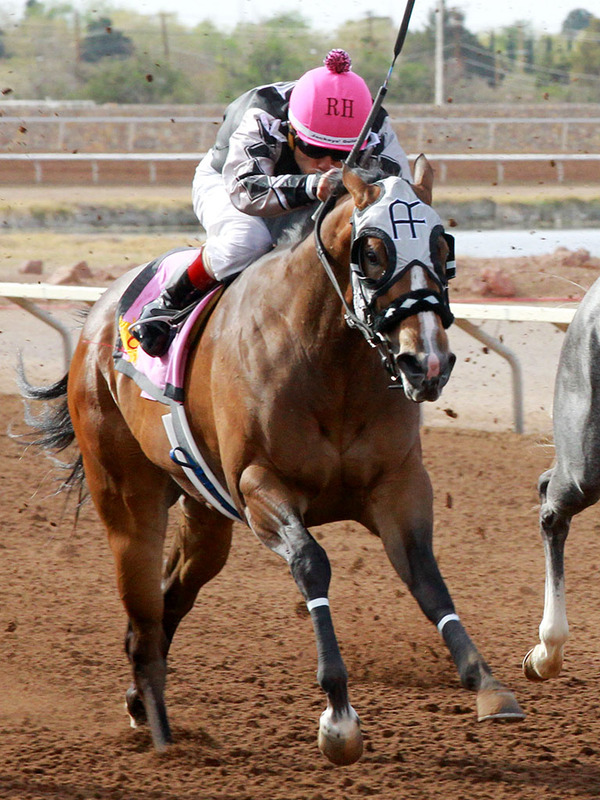 The J.J Gonzales trainee earned $33,831 for owners Angel Hernandez and Jorge Herrera of Laveen, Arizona. He Be Flashy finished a close third with jockey Manuel Gutierrez. The mild 5-2 favorite was only beaten a neck. Jessica Alexandra was forwardly placed throughout and finished a determined fourth. 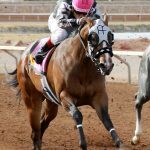 Shue Fly Stakes winner Everybuddys Talkin won her second stakes of the meet after a driving win in the $85,000 Sunburst Stakes at 350 yards. Under a steady ride from Raul Herrera, Everybuddys Talkin dug in gamely in the final 150 yards to hold safe with a neck victory over Daddys Copy and Dolly Cartel. The three-year-old New Mexico-bred filly by Gonna Ro Sham Bo found her best strides in deep stretch and was full of run at the wire. She stopped the clock in 17.46 seconds and picked up a check worth $51,000 for owner Eric Pineda of Odessa, Texas. 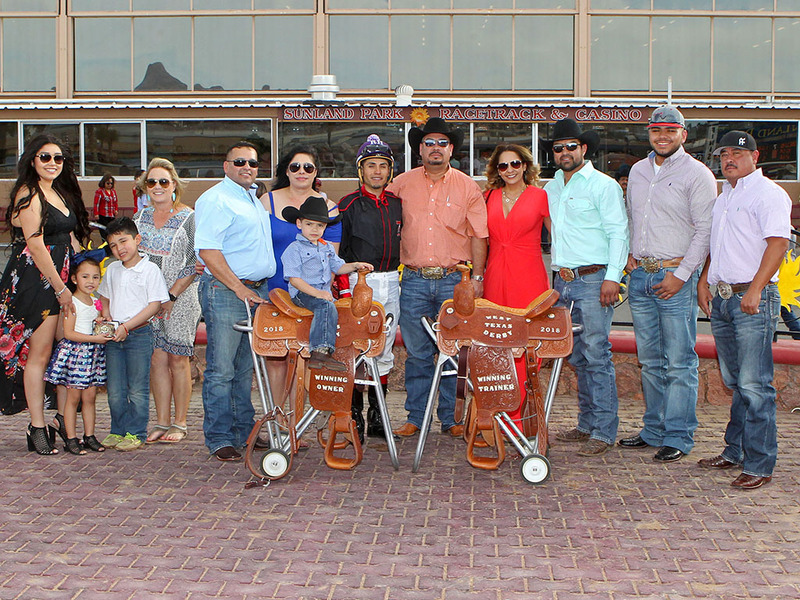 Ricardo Armendariz was the winning trainer. The winner earned a 91 speed index. 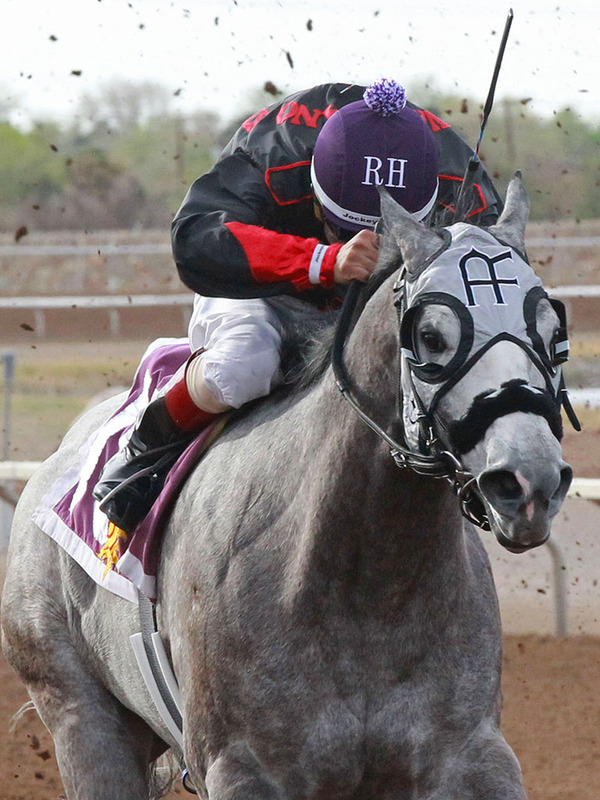 The improving filly broke her maiden in the $206,852 Shue Fly last January. She has now earned over $163,000 from 2 career wins in 9 starts. Everbuddys Talkin paid $7.00 to win as the 5-2 post time favorite. Daddys Copy finished second in a blanket finish, closely followed by Dolly Cartel a nose back in third place. Live racing resumes on Easter Sunday at 12:30 p.m.